Archives preserve memory and two very current actions are demonstrating that truth. The United Church of Canada recently paid $500,000 in compensation to Vancouver Japanese United Church for the loss of its property 66 years ago – and much of it will be used to partner with the archivist of the Pacific Mountain Region of the United Church to create a website honouring the church’s history. And just a couple of blocks from the original site of the church, Firehall Arts Centre is hosting ‘The Tashme Project: The Living Archives,’ which tells the story of how Japanese Canadians were forced out of their homes, businesses – and churches – in the words of people who experienced that displacement. 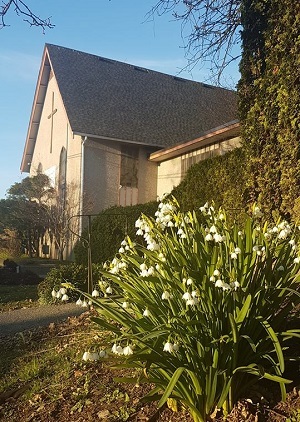 Ten years ago the United Church apologized to the Vancouver Japanese United Church for selling its church building after the members of its congregation were expelled from Vancouver and interned during the World War Two. Late last fall it decided to pay the congregation $500,000 in compensation for that loss. In 1942, during the Second World War, those of Japanese ancestry were deported from a 100-mile zone inland from the Pacific Coast. Over 22,000 people were removed from their homes and resettled in camps in the BC interior, even though 65 percent were Canadian born. Properties and businesses were confiscated. 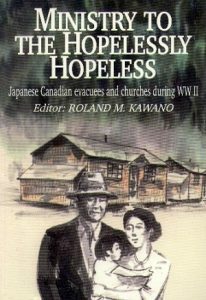 The members of Vancouver Japanese United Church, who had been worshipping together since the beginning of the century, were also deported. Their church building was held “in trust” by another United Church congregation for the next 10 years. When the congregation returned to Vancouver in 1949, they found their church building no longer in suitable condition for worship. They started to look for another church, and moved from place to place until they purchased another United Church building in 1977, where the congregation remains to this day. Vancouver Japanese United Church today. 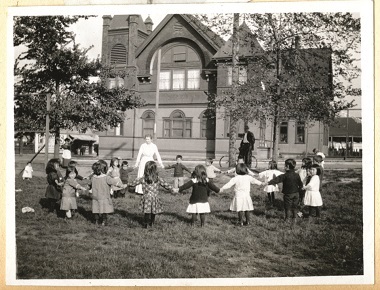 In 1952 the original church property was sold by the United Church. 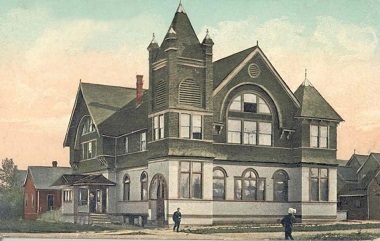 Monies from the sale were likely used for mission purposes by the church (the historic record on this is not clear) but the congregation did not receive any of it. . . . The Pacific Mountain Region and the General Council of the United Church are each paying $250,000 in recognition of their joint responsibility for the loss of the church building. A worship celebration and ceremonial payment took December 8 at the church. So members of both the Japanese- and English-speaking congregations approached Blair Galston, the archivist for Pacific Mountain Region, to see if he could help them create a website about Vancouver Japanese United’s history, which dates back to 1896. . . .
Go here for the full article and here for one from last fall. The Tashme Project is a one-act verbatim theatre piece that traces the history and common experience of the Nisei through childhood, WWII internment and post-war resettlement east of the Rockies. The Nisei, now in their 70s and 80s, were children at the time of internment and their stories of adventure and play are presented in sharp relief to the more common internment narratives of hardship and injustice. Matt Miwa and Julie Tamiko Manning created and perform The Tashme Project, which is based on 25 interwoven interviews with Nisei from across Canada. Generally saddled with a legacy of silence in regards to the internment, the greatest struggle facing the Japanese Canadian community today is the transference of cultural history and pride to its younger generations. 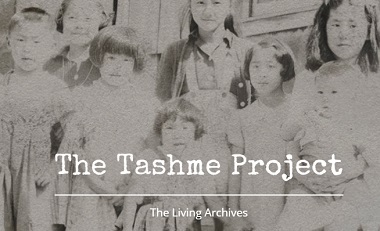 Seeking to re-invigorate this process, we embarked on The Tashme Project: The Living Archives. It is our intention to connect younger Japanese Canadians more deeply to their parents, grandparents and great-grandparents, as well as ignite a desire to rediscover their Japanese-ness and reinvigorate the dwindling Japanese Canadian community. In our very subtle “Japanese Canadian” way, the performing of The Tashme Project across this country is a political act: the displacement, incarceration and deportation of the Japanese Canadian community from the West Coast of Canada during the Second World War by the Canadian government was meant to erase our community. The Tashme Project runs until April 13. 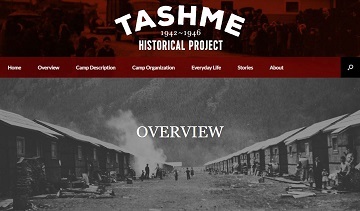 Although Japanese people were shipped to many camps, there was a Tashme Internship Camp, and it was one of the closest to the coast. The Tashme Internment Camp was one of eight internment camps established in British Columbia by the Government of Canada to intern Japanese Canadians during World War II. Located 14 miles southeast of Hope, Tashme covered 1,200 acres of land and, at its height, was home to 2,644 people. The camp was opened in 1942 and closed in 1946. . . . Led by former Tashme internee Howard Shimokura, assisted by a volunteer committee and supported by the Nikkei National Museum and Cultural Centre in Burnaby, BC, and the Japanese Canadian Cultural Centre in Toronto, the project aims to record as full a picture as possible of what life was like in Tashme. The website is quite extensive. These books contain a wealth of anecdotal and historical detail, including a description of life in Tashme Camp and many other locations. And one other book just came to my attention, featured in BC Booklook under the header From Powell Street to Tashme: Powell Street Diary: a remembrance of life before internment by Jesse Nishihata.